Customers hesitate when they’re unsure your product is suitable for their home. This uncertainty leads to lost sales and a reduction in customer satisfaction. INHAABIT’s Augmented Reality (AR) solution allows you to create a more engaging buying experience, improving purchase confidence and sales. 61% of customers would prefer to shop at stores that offer Augmented Reality and 40% would be willing to pay more for a product they could try in AR. 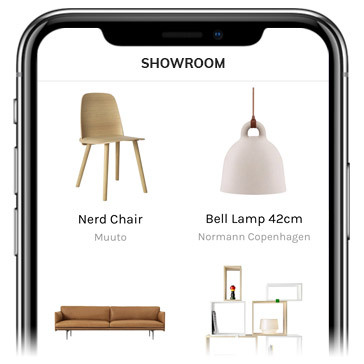 Using an INHAABIT powered mobile app, customers can accurately visualise your retail products in their home, reducing the guesswork and increasing purchase confidence. INHAABIT provides a showroom-like experience before customers even enter the store. Our app allows customers to try products in different colors and materials, find the perfect fit and add items directly to a shopping cart for purchase. Our solution has been designed to complement your existing retail strategy, building greater customer engagement and increasing sales opportunities. Augmented Reality lets your customers visualise products in their home, in real time, on a mobile device. Products are displayed with accurate dimensions and materials – they look exactly like the real thing. 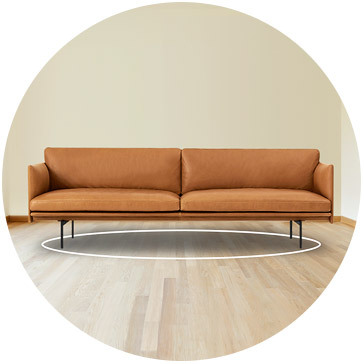 Speed up the sales cycle and reduce hesitation by allowing customers to visualise your products in their home. Staff and customers can demo your products in any material and color to maximise sales. AR works seamlessly alongside your existing website, creating smooth online purchases and instore sales appointments. See INHAABIT’s Augmented Reality Retail Solution on Channel TEN’s Australia By Design.